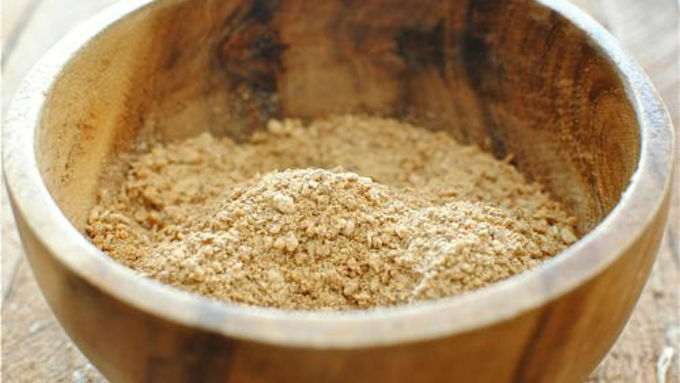 In a food processor, blitz together the cereal, paprika, cayenne, salt and pepper until finely ground. Pour into a shallow bowl. 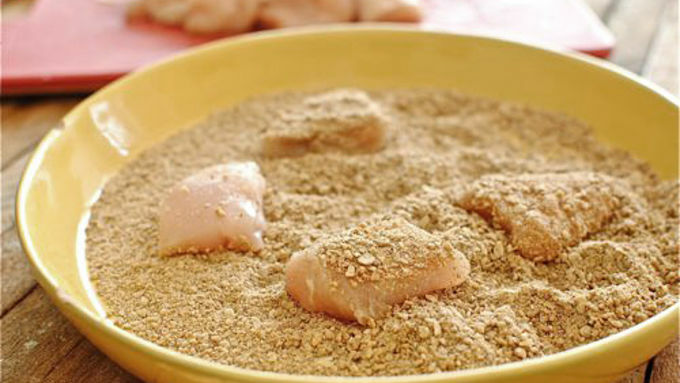 Lightly spray the chicken pieces with the cooking spray and dredge them through the cereal mixture. Arrange them on a rimmed baking sheet that has been lightly coated with spray as well. Bake for 8 to 10 minutes. 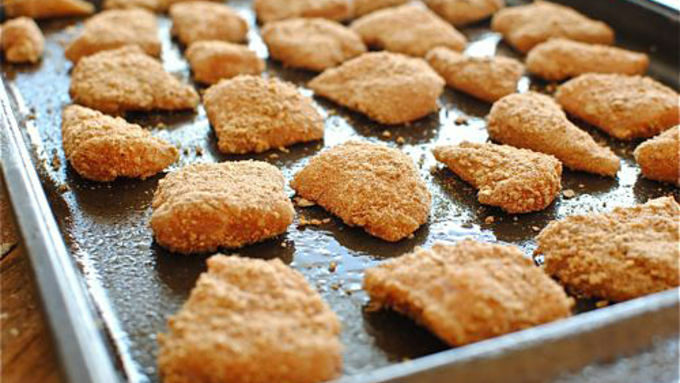 Flip nuggets and bake 5 more minutes. 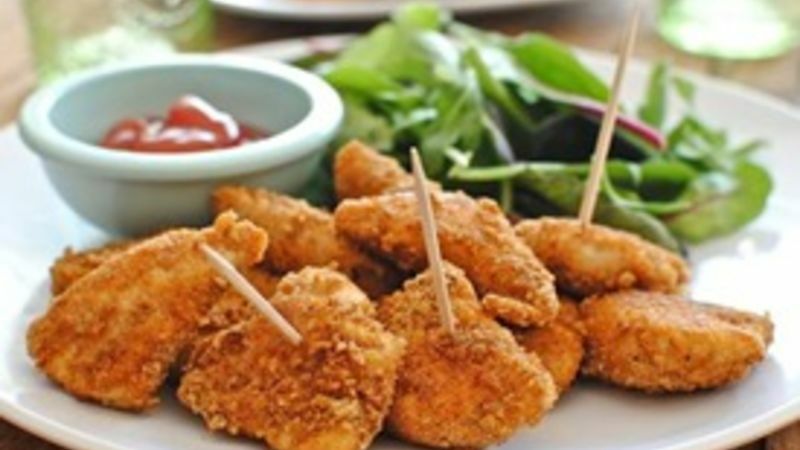 Serve with ketchup (or your favorite dipping sauce) and a green salad! I'm going to need to see a show of hands here today. 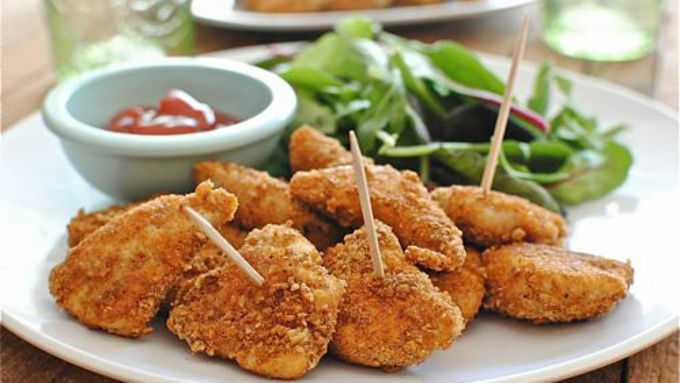 When was the last time you ate chicken nuggets? Oh no, have I brought up horrific memories from the dark corners of your mind? Visions of soggy chunks of mystery meat dripping with high fructose corn syrup and dredged through dirt? I know. You know what, just cry it out. There ya go. Why don't we revisit this classic childhood favorite, but keep it totes waistline friendly and fiberlicious. Cool? Cool. With that in mind, I grabbed a good handful of Cascadian Farm Organic Hearty Morning fiber cereal, blitzed it up nice and fine with some of my favorite spices, baked the tar out of the nuggets and kind of freaked out on them. I'm just glad there wasn't a hidden camera. Two words: MAKE THESE.